Wifarer is the first to achieve the superior indoor positioning technology and user-friendly mobile application required to make indoor location-based marketing a reality,” said Wifarer founder and CEO, Philip Stanger. 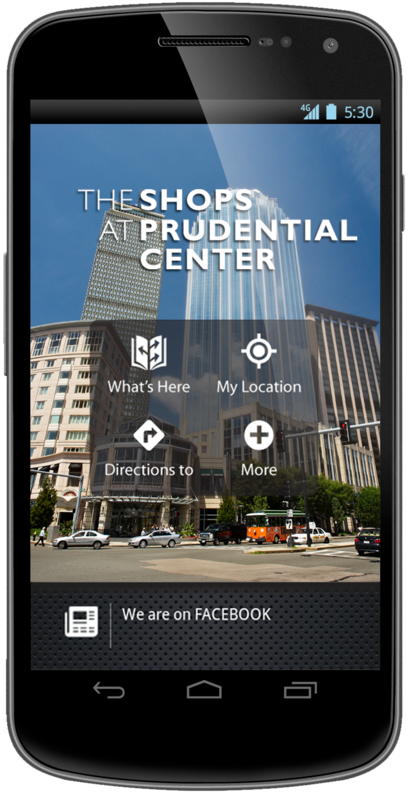 Wifarer, the global leader in indoor positioning technologies, today announced national pilot programs with several large US shopping centers, including Boston’s The Shops at Prudential Center. These locations will pilot Wifarer’s indoor positioning system to enhance their customers’ shopping experience while driving traffic and revenue for their retailers. Wifarer’s technology gives shopping centers a new way to deliver promotions and deals to customers based on their location inside the shopping center as well as valuable insight into visitor traffic and venue usage from Wifarer’s analytics. Most importantly, Wifarer give venues the ability to control the content and monetization of their digital space. Wifarer is a software-only solution that uses a venue’s existing Wi-Fi infrastructure to pinpoint the location of a shopper’s smartphone inside the venue so there is no need to purchase, install, or maintain custom hardware. With an average accuracy of four and a half feet, Wifarer allows large venues like shopping centers, airports, hospitals, museums and campuses to make it easy for their customers to navigate indoors, and to deliver location-based content to their customers’ smartphones. Wifarer is the global leader in indoor positioning technologies for complex venues like shopping centers, airports, hospitals, museums, and campuses. The disruptive technology pinpoints the indoor location of a smartphone to an average accuracy of four and a half feet and delivers real time indoor “GPS,” location-aware content and powerful visitor analytics in a turnkey, custom branded smartphone app or API. The core innovations are the proprietary algorithms that work with a user’s smartphone and a venue’s WiFi to pinpoint the location of the user inside a venue in real-time, and a business model that gives venues complete control over the content and monetization of their digital space. Additional information can be found at wifarer.com and facebook.com/wifarer or follow @wifarer.